"The top barrister for EU law." David’s practice is built on his knowledge of European Union, human rights and public law, developed with the help of skills learned working in Brussels and Washington DC and teaching at King’s College London. He has written and lectured widely on these subjects and appears regularly in Luxembourg (EU courts), Strasbourg (European Court of Human Rights) and in the full range of English courts. As Independent Reviewer of Terrorism Legislation (2011-2017), his reports on counter-terrorism, counter-extremism and surveillance law were widely cited in the courts and in Parliament. Two of them were described as blueprints for the Investigatory Powers Act 2016. He has also served as a Council of Europe human rights monitor and a Recorder of the Crown Court, and continues to sit as a Judge of the Courts of Appeal of Jersey and Guernsey. Long recognised in the professional directories, David has also been named by The Times as one of the UK’s 100 most influential lawyers, and by the Evening Standard as one of London’s 1000 most influential people. In 2015 he was shortlisted for “Internet Hero of the Year” by the Internet Services Providers Association, and named “Legal Personality of the Year” by the judges of the Halsbury Legal Awards. In the Queen’s Birthday Honours in 2018 he was awarded KBE for services to national security and civil liberties. In July 2018 David was introduced to the House of Lords as a cross-bench peer, but continues to practise in his fields of expertise. David Anderson is consistently star-rated by Chambers & Partners Directory as the outstanding QC in the field of EU Law, and was recently named as EU/Competition Silk of the Year. Some 150 appearances in the Court of Justice of the EU place him among the most respected and experienced of all practitioners in that forum. His ECJ practice extends into areas as diverse as agriculture (BSE), aviation (Open Skies), citizenship (Morgan), competition (Coats), consumer protection (easyCar), crime (Ship Source Pollution), conflict of Laws (Apostolides), free movement (Sunday Trading), immigration (Yiadom), intellectual property (Levi v Tesco), liability for judicial decisions (Köbler), pensions (Robins), pharmaceuticals (Generics), sport (UEFA), state aid (Gibraltar), taxation (Cadbury Schweppes) and telecommunications (Roaming). He appeared in the leading cases on the relationship between EU and Human Rights (Opinion 2/94,Matthews, Spain v UK) and successfully represented the applicant, accused of funding terrorism, in the leading case on the relationship between EU and Public International Law (Kadi). 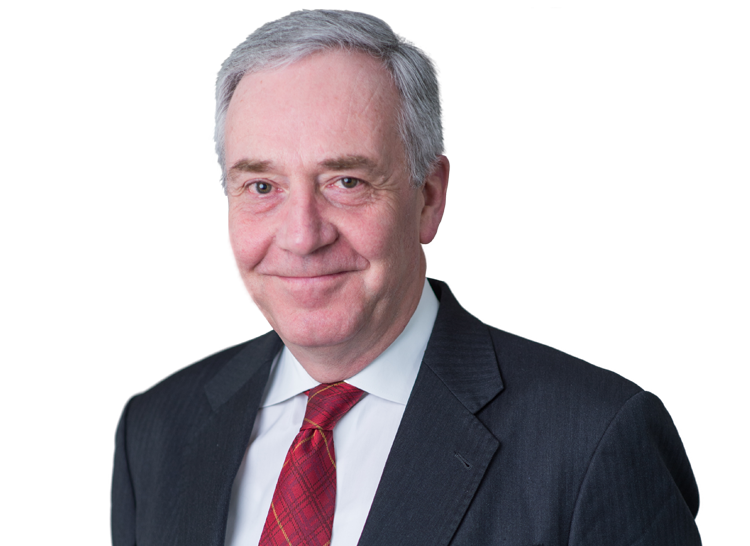 David has long experience of EU law in United Kingdom courts as various as the Patents Court and the Court of Criminal Appeal. He has argued successfully for a number of “firsts” including the suspension of an Act of Parliament (Factortame), the judicial review of the intention to implement a directive (Imperial Tobacco) and the suspension of the operation of a directive in the UK (ABNA). Many of his cases involve references to the Court of Justice of the EU, on which David wrote the leading practitioners’ text. Recent and current cases include Littlewoods' claim for £1 billion compound interest on overpaid VAT; AbbVie’s challenge in the General Court to the decision of the European Medicines Agency to disclose its clinical study reports; challenges to EU and UK tobacco control measures; and Jon Gaunt’s freedom of expression case, currently in Strasbourg. David has written extensively on EU law and has a long-standing association with the Centre of European Law at King’s College London. David’s public law practice initially grew out of EU Law: for 12 years he represented the Spanish Fishermen in their successful attempt to suspend an Act of Parliament and then claim damages (Factortame). He is still frequently instructed in judicial review cases with a European element, both in the UK and on reference to the Court of Justice of the EU: these include leading pharmaceutical cases such as Generics and Novartis. His public law practice now extends to purely domestic cases, often with a commercial element. Recent examples are his successful defence of Betfair in R v Levy Board ex p William Hill and frequent judicial reviews and appeals in the aviation, pharmaceutical and telecommunications sectors. David has appeared before the European Court of Human Rights some 30 times: his leading cases there include Stubbings (discrimination), Hatton (night flights), McGonnell (separation of powers), Z (access to court), Al-Adsani (state immunity), Building Societies (retrospective legislation), Demopoulos (property) and Bancoult (exile). He has appeared in cases against a variety of contracting States including the Czech Republic, Finland and Turkey. This expertise also feeds into his public law practice, much of which concerns human rights (ProLife Alliance, Conjoined Twins, Shambo) or Public International Law (Jersey Fishermen's Association, Kibris THY, Eurotunnel). David has served on the committee of the Administrative Law Bar Association, has reported for the Council of Europe on the freedom of the media in Russia, Ukraine, Georgia and Turkey and is a regular speaker at public law conferences and events. He is ranked in the top tier of QCs by Chambers & Partners Directory for Public and Administrative law. Factortame (Spanish Fishing) litigation 1988-2000; Challenges to BSE ban against the European Commission and France (CJEU); ABNA (traceability of foodstuffs, interim relief against directive, High Court and CJEU); challenges to tobacco advertising directive, tobacco products directive and plain packaging 1998-2016. Major cases include EasyJet v BA (Go); Turk Hava Yollari (flights to Northern Cyprus); Air Transport Association (emissions trading scheme); BA and others (denied boarding regulations). Extensive experience of judicial review over 30 years, equally divided between applicant and central government work and generally with a commercial and/or international slant. Particular expertise in cases concerning aviation, gambling, pharmaceuticals, telecoms and all aspects of EU regulation. Instructed in English, Irish and European courts in challenges to marketing authorisations including Scotia Pharmaceuticals, Generics, Novartis and on data confidentiality issues (Abbvie, General Court and CJEU). Acted in IP-related pharmaceutical cases including Novartis (SPCs) and parallel import cases. Represented and advised ABPI in PPRS-related litigation and NICE appeals. Recently appeared for Roche in litigation concerning pharmacovigilance obligations (High Court, Court of Appeal). Various CAT cases for BT and OFCOM concerning number portability, mobile call termination rates, Pay TV. As Independent Reviewer of Terrorism Legislation, 2011-2017, authored various reports on national security law and practice including regular reviews of counter-terrorism legislation and A Question of Trust and Bulk Powers Review (2015-16), blueprints for the Investigatory Powers Act 2016. Since then have assisted with the drafting of terrorism and surveillance laws in Gibraltar, and appeared as an expert witness in the Irish High Court on the operational utility of communications data. David is ranked in the 'Chambers 100 UK Bar', a list of the top barristers practising at the Bar of England and Wales.